In addition, Rheuban added, the warmer water temperatures are fueling an increase in algae growth. While algae and other microscopic plants, which form the base of the marine food chain, are vital to a healthy ecosystem, too much can cause murky water, reduce sunlight and oxygen levels, and ultimately cause harm to marine life. This means added challenges for improving water quality in some Cape Cod and southeastern Mass. watersheds that are already suffering from too much nitrogen, which is most commonly caused by releases from septic systems and wastewater treatment plants, atmospheric pollution, and fertilizer runoff. Excess nitrogen also boosts algae growth. 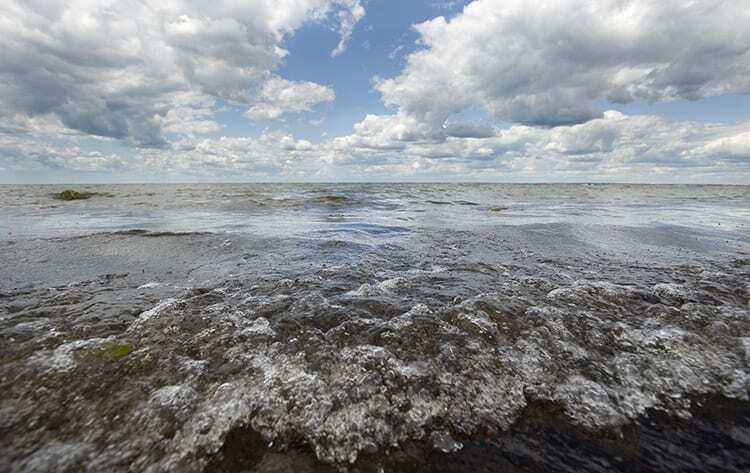 “What we’re seeing in the long-term data is that the same levels of nitrogen in the system results in much more algae growth than it did two decades ago,” Rheuban said. This increase in algae growth and chlorophyll means that water quality is worse for the same amount of nitrogen, which has big implications for water quality targets and clean up plans. Identifying and understanding how different ecosystems respond to climate change will aid in future monitoring and clean up efforts as coastal communities prepare to adapt. This research is part of multi-pronged project funded in 2014 by the John D. and Catherine T. MacArthur Foundation aimed at partnering with local organizations to develop science-based climate change solutions for coastal communities. Every summer since 1992, volunteers working with the Buzzards Bay Coalition have headed out to their local beaches and docks to help monitor the health of the bay. At sampling sites from Westport to the Elizabeth Islands, trained citizen scientists gather samples and test temperature, salinity, water clarity, and dissolved oxygen at the same locations, every five days from late May through September. In July and August, volunteers also collect water samples that are taken to the Marine Biological Laboratory where they are analyzed for nitrogen, phosphorus, and chlorophyll. 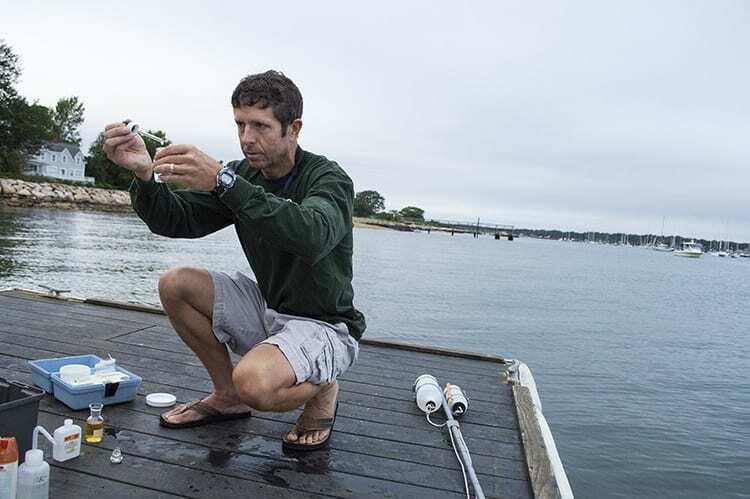 The Baywatchers program has amassed more than two decades of data that has been a valuable resource over the years not only to the Coalition’s education and outreach efforts, but also to agencies that monitor water quality and draft clean up plans. 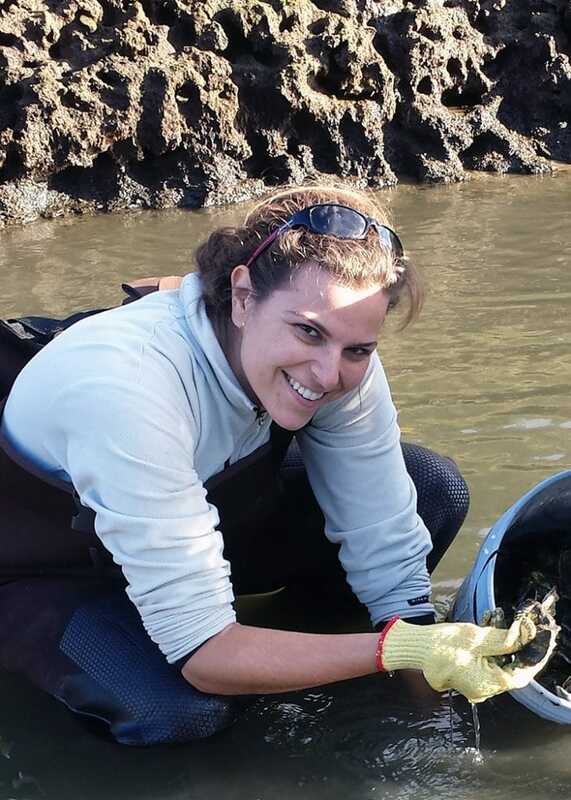 “The data has been used by every level of government to make decisions about the management of waterways from deciding which waters are impaired to determining how much nitrogen a specific estuary can handle,” said Rachel Jakuba, PhD, science director for the Buzzards Bay Coalition and a coauthor of the paper. This is the first time that over 20 years of the monitoring data has been analyzed for long-term trends and patterns, in particular with a focus on climate change. First, researchers looked at which locations and sites had the most consistent data over the 22-year period (from 1992 to 2012), and then divided those into 17 distinct embayments (see accompanying map for sites). For example, expanded sewering of larger towns on the west side of the bay has helped reduce excess nitrogen from reaching nearby waterways more than sites along the Cape Cod side of Buzzards Bay that do not have such infrastructure already in place. 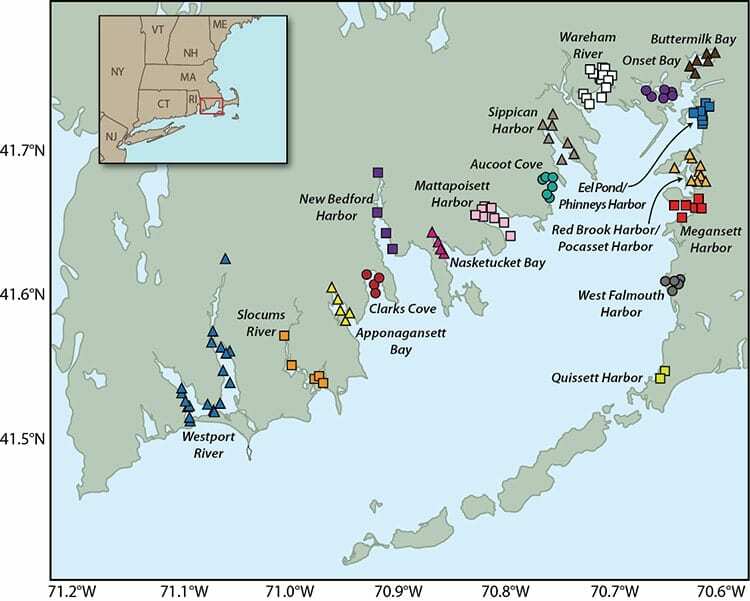 “This is potentially important because it suggests that in a future world with higher temperatures, towns around Buzzards Bay will have to remove more nitrogen from coastal watersheds to maintain the same water quality,” added Christopher Neill, director of the Marine Biological Laboratory’s Ecosystems Center and one of the study’s co-authors. These types of ecosystem responses to higher temperatures, researchers said, are crucial to include in updated management and clean up plans. 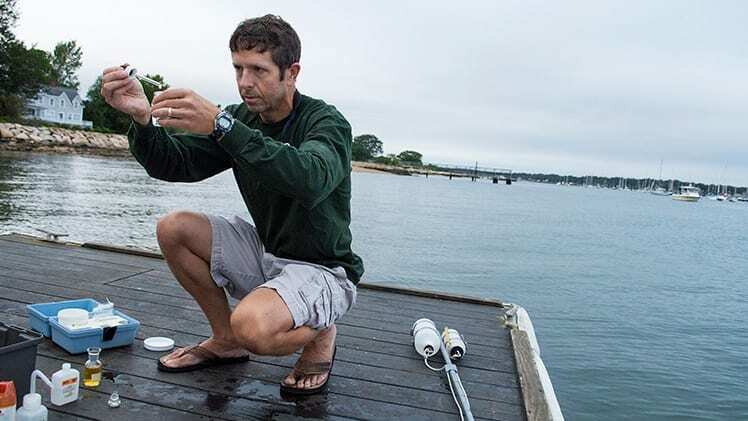 Joe Costa, Executive Director of the Buzzards Bay National Estuary Program, who helped establish the Buzzards Bay monitoring program and a co-author of the paper, praised the WHOI team that initiated the study. Additional coauthors of the paper are Tony Williams of the Buzzards Bay Coalition, and Shanna Williamson, David Glover, and Dan McCorkle of WHOI.